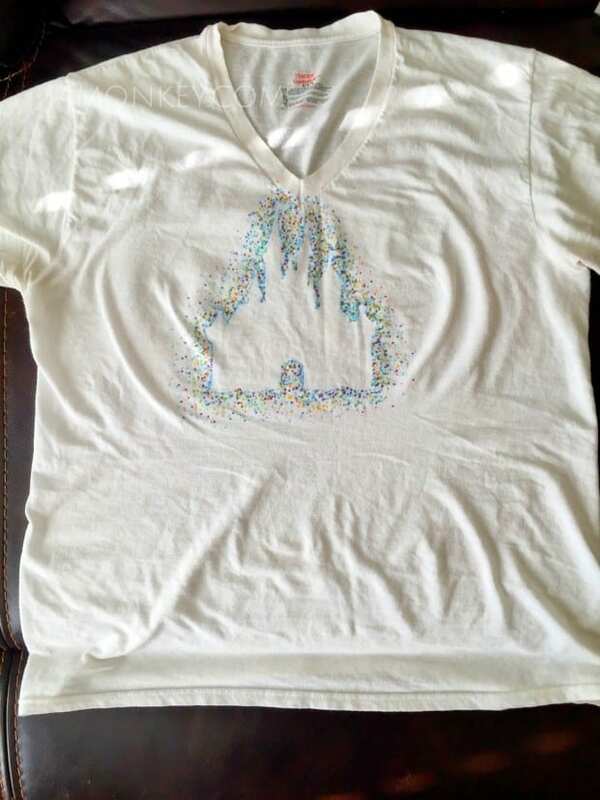 We made some super cute Disney Side Polka Dot T-Shirts at our Disney Side party. 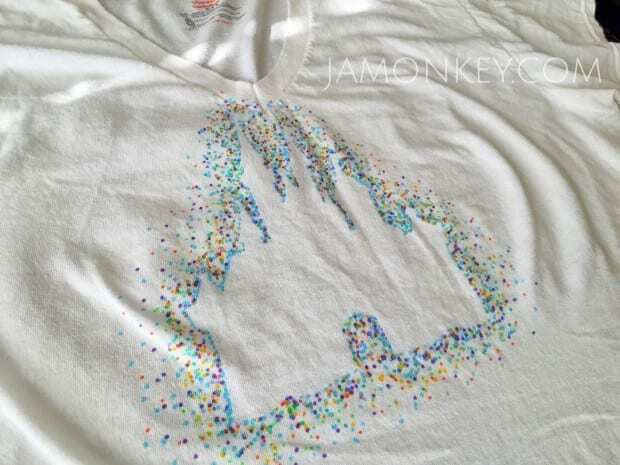 Check out this video for a step by step tutorial of how we made our fun t-shirts. 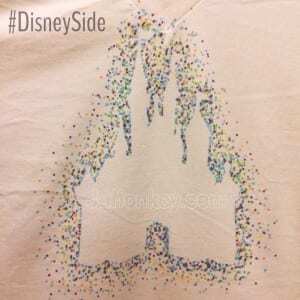 Here is what you need: Plain t-shirt (I'm a fan of the V-Neck Tee ) Your favorite Disney silhouette Contact Paper Scissors Fabric Markers Trace your favorite Disney silhouette onto the contact paper and then cut it out. Remember that the image you use will be mirrored so if you want it to face a certain direction keep that in mind when tracing. Place your t-shirt flat and place a piece of cardboard inside of it so that the markers do not bleed through to the back of the t-shirt. After you cut out your design, peel the backing off and place it on your plain white t-shirt. Make sure you press down all the edges. Use the the fabric markers to put dots all around the design. When you've used all the colors you want, remove the contact paper and then follow the directions on your fabric markers to make the color set. Whether it's an iron or the dryer, the heat will cause the markers to set so that your design doesn't wash away when you wash it. Check out these other great Disney Activities! Hi there! This idea is awesome! My mom and I are actually making shirts with character silhouettes for our trip to Disney World in November. We chose Belle, Cheshire Cat, Jack Skellington, and Meg from Hercules. Some of my favorites! 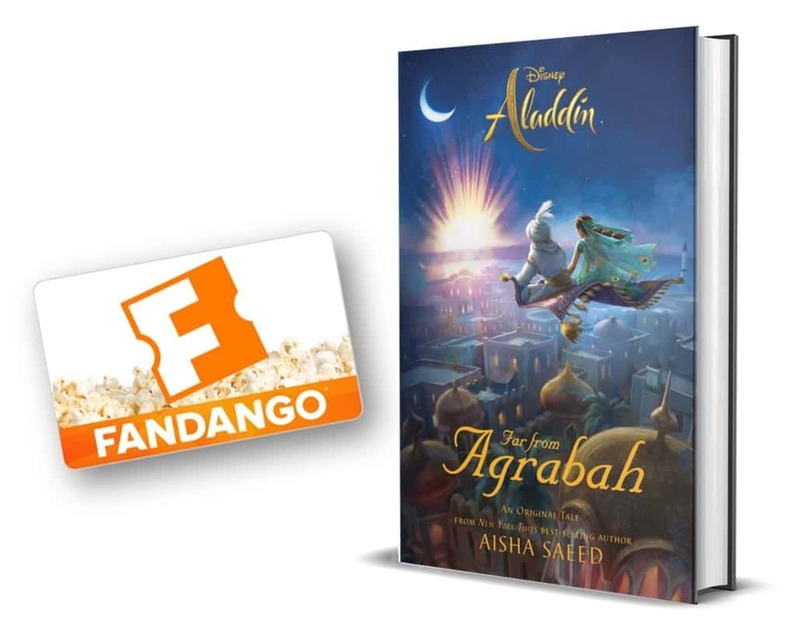 We are going to Disney World in November too! Will you be going to Mickey’s Very Merry Christmas party?! Love this! Used my cricut and Tulip fabric paint NOT markers. Turned out great. So good I did several others similar to it for our upcoming trip to Disney. Oh, I would love to see them! I bet fabric paint would be fun. I just stumbled on to your website through Pinterest and this shirt project looking for ideas for kid shirts for school this fall. Great use of contact paper as a stencil and kudos for making sure to point out that the first row of dots around the stencil is half on the shirt, half on the stencil. I realized how important to a crisp line that tidbit is. Thanks for the feedback, glad you enjoyed the tutorial!